A couple of decades ago, you couldn’t talk about running without mentioning Reebok. Cut to today, after a years-long focus on CrossFit, the fitness shoe and apparel brand found itself left out of the recommendations serious runners were sharing with consumers looking for a new pair of running shoes. To re-establish their presence and promote the launch of their new Floatride running shoe, Reebok turned to ExpertVoice to target running experts and gather their insights and reviews into content that supported the product launch. ExpertVoice recommended engaging experts in an early access and product seeding campaign with the goal of developing high level brand and product advocates. To gain this high level of brand and product advocacy, it was recommended that Reebok show how much they valued these running experts by treating them differently than their average customer. ExpertVoice also knew that the content created by these experts could provide additional, credible outreach on behalf of Reebok. To support this campaign, ExpertVoice provided a tailored segment of the Reebok Elite, and gave them a behind-the-scenes look into the Floatride development and technology, then seeded them a pair of their own. Reebok invited the Reebok Elite to put the Floatride shoes through their paces, then share their authentic observations of how well the shoe performed, its new footbed technology, and the quality of its materials in online reviews. 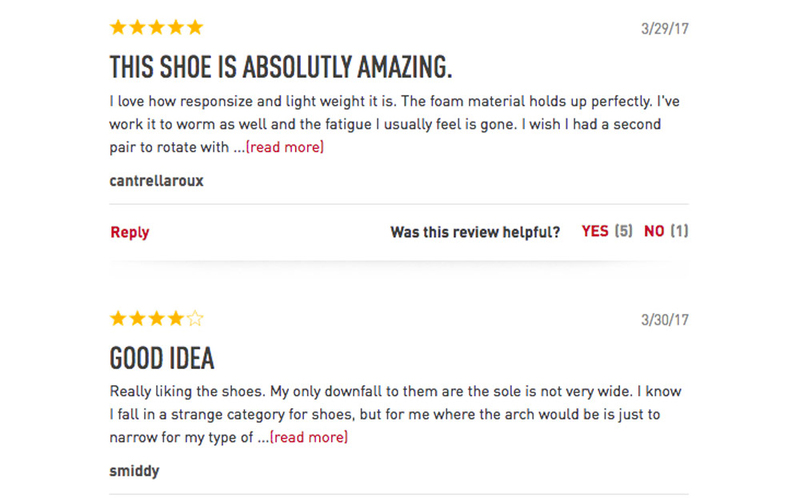 Reebok published more than 500 of these reviews on their website, driving sell-through and ultimately earning the Floatride the award of “Best Debut” from Runners World magazine in 2017. In addition, the campaign generated 1,704 brand mentions and more than a million impressions on social media before the new shoe was even launched. Thanks to the UGC and online content created by the Reebok Elite, word about the Floatride’s quality and performance also spread among staff who worked in specialty running stores, resulting in a stream of wholesale orders. 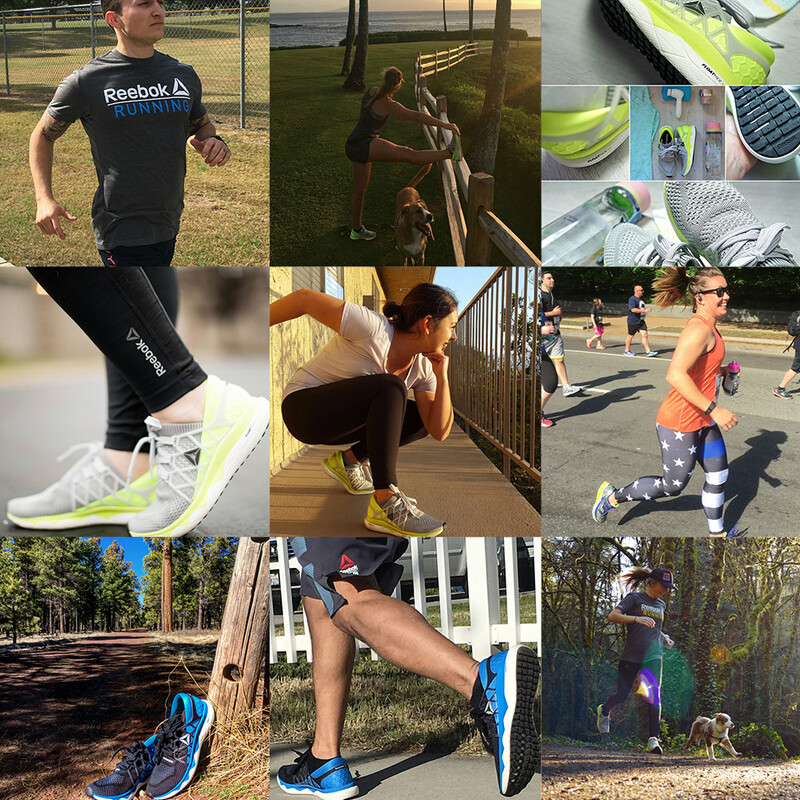 Post-launch saw Reebok following through by weaving the Reebok Elite’s UGC and reviews into Floatride content targeted to an additional 34,000 running experts. In the 90 days post-launch, this credible content engaged more than 17,000 of those experts, and Reebok has since seeded additional Floatride shoes to running experts who work in retail. Additionally, Reebok has since expanded their targeted ExpertVoice audience to more than 800,000 fitness experts. In early 2018, they hosted an Expert Live show that was targeted to the full ExpertVoice audience, including the Reebok Elite as well as running and fitness experts. The show provided experts an exclusive chance to ask Reebok questions about the Floatride and its technologies while the brand demonstrated the new shoe and its capabilities live. Perhaps one of the most compelling results of the Floatride campaign — and an unplanned win — came in the form of members of the Reebok Elite, like Katie Michno. While these experts’ social media accounts may not boast thousands of followers — Katie’s Instagram has just over 700 followers — it’s their experience as a running club members, specialty run store employees, and as professional athletes that caught Reebok’s attention and made them valuable advocates. By valuing the experts and providing them exclusive opportunities to engage and learn about the Floatride, Reebok created strong advocates who brought credibility and authenticity to their Floatride launch. With the upcoming launch of their new Floatride running shoe, Reebok knew they needed to address the fact that they were no longer being recommended by serious runners as a top running shoe brand. However, they knew that traditional advertisements would likely fall flat if they didn’t first win over these same serious runners who were recommending competing brands in online reviews or at the specialty run stores where they worked. To regain credibility as a running shoe brand, Reebok partnered with ExpertVoice to target these running experts with a pre-launch campaign featuring the Floatride. ExpertVoice strategic segmentation technology allowed them to drill down and recruit the most serious, passionate runners. Out of the thousands of applications they received, Reebok selected 1,256 running experts to become the Reebok Elite.